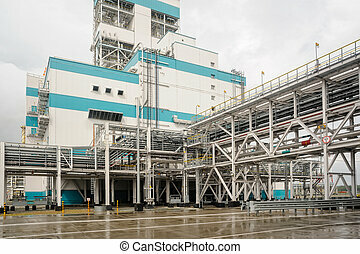 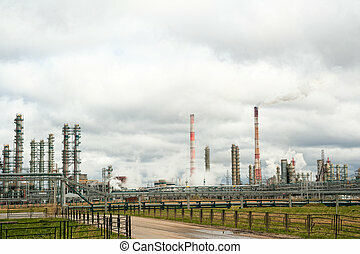 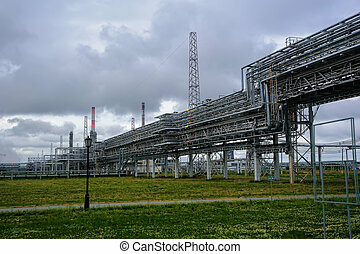 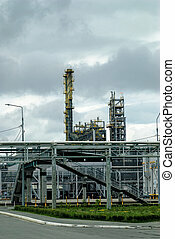 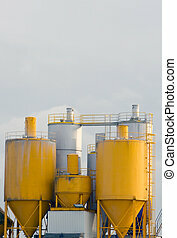 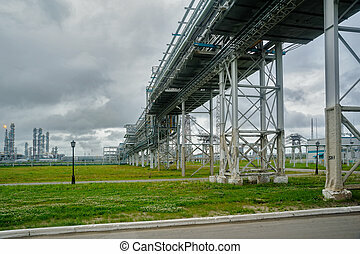 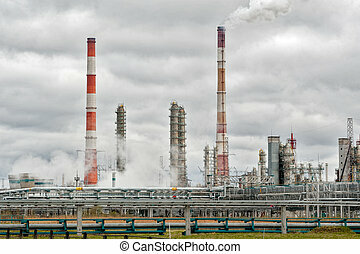 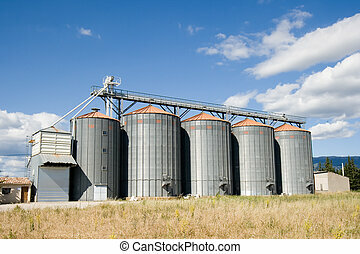 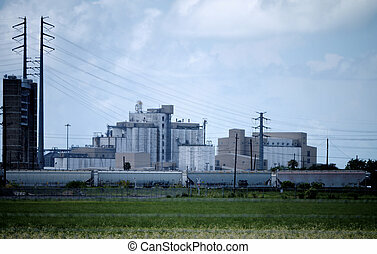 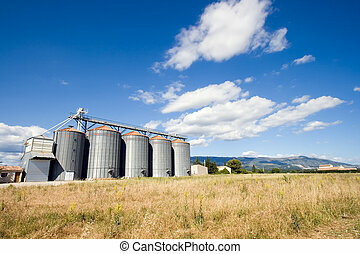 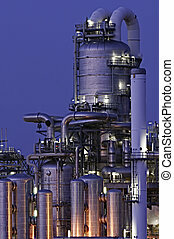 Chemical production facility. 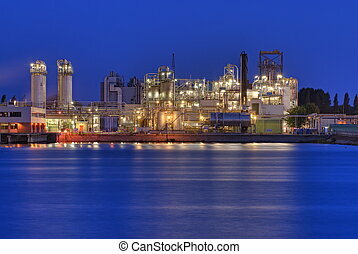 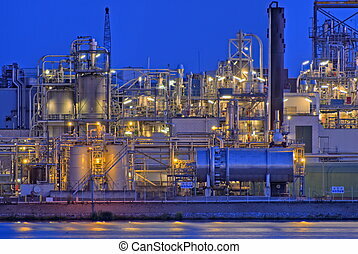 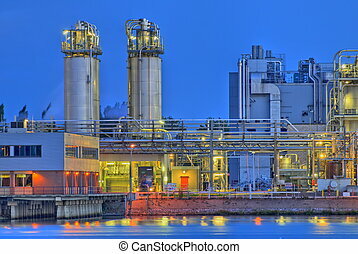 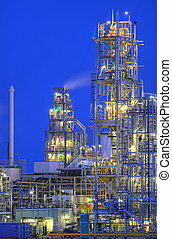 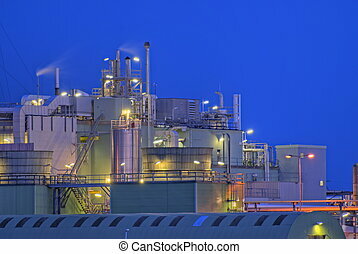 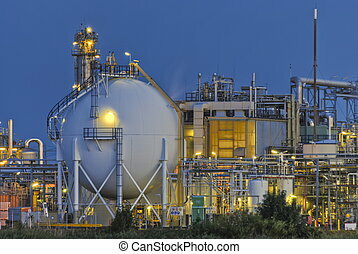 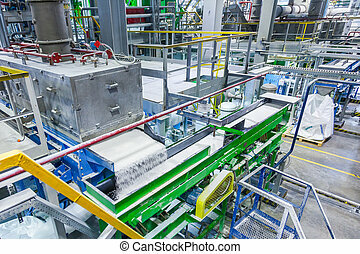 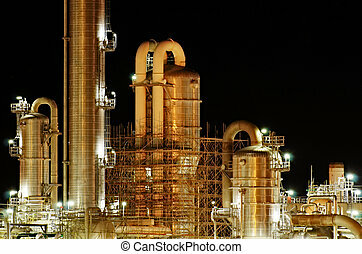 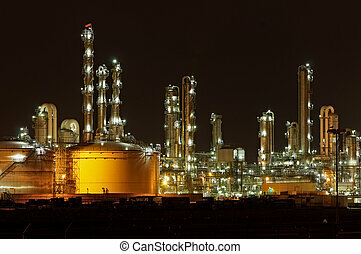 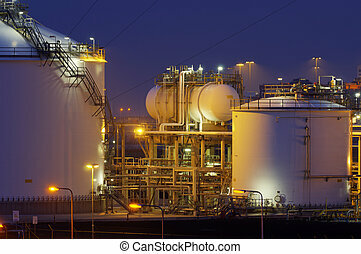 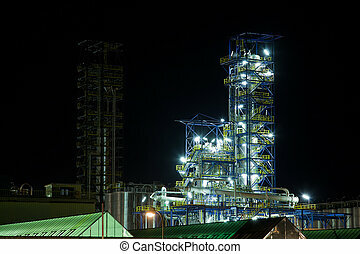 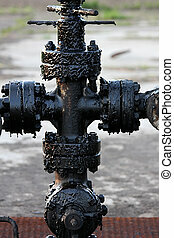 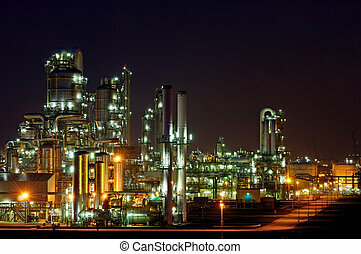 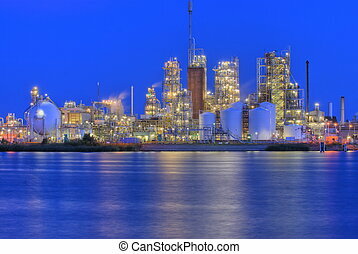 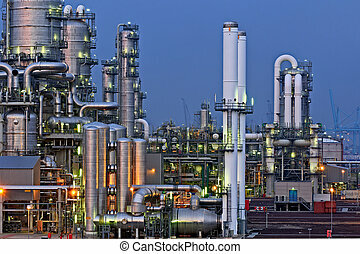 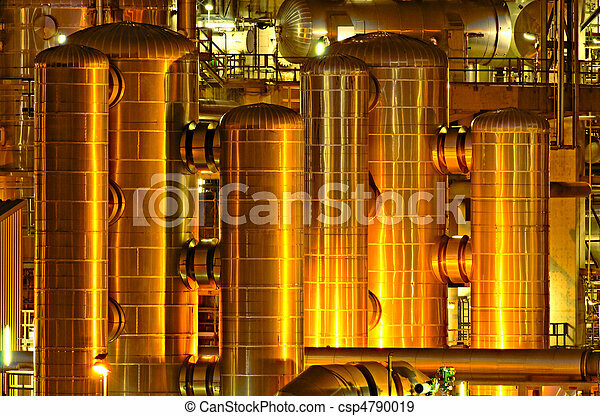 Intimate details of a chemical production facility at night. 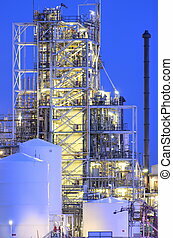 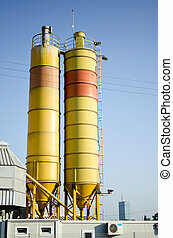 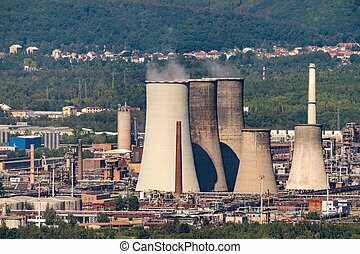 Tower in a large chemical production facility.